Emillie joined Oil Intel as the People and Organisational Development Manager in 2017, bringing more than 10 years of Human Resources experience from across a range of industries. Emillie is responsible for overseeing all aspects of the human resource function including learning and development, remuneration, culture, leadership development and performance. 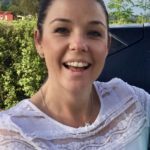 Emillie’s career in HR has included leading the Organisational Development function at Bupa Care Services in Australia and Airways here in New Zealand. Emillie holds a Bachelor of Commerce and Bachelor of Arts degree from the University of Victoria in Wellington.